Centrally Located Villas In Belek, Just For You!!! Luxurious twin villa is out for sale in Belek. 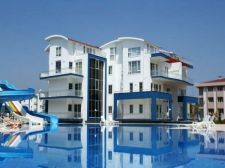 Belek is a small town located in Antalya province of Turkey.Property in Belek, This is an extremely small town with a population of merely 700 to 10,000 people, the permanent residents included in this number. This population varies according to the tourism sector, while there are nearly 9,000-10,000 people during the season. Considering its small size and minimal population, Belek has still maintained its name as one of the major centers for the tourism sector in Turkey. One of the reasons for the fame Belek has earnt is the real estate in Belek that has taken unimaginable turns for the last few years. Lots of foreigners are therefore eyeing on property in Belek. In fact, the popularity of this town has increased in such a way that even foreign investors are buying properties in Belek. Another major reason for this huge investment is the golf villas in Belek. Numerous golf courses and other complexes have been built in Belek, making it yet another hit in the real estate market. Numerous major golf tournaments have been held in Belek since the year 2012, highlighting its attractions worldwide. It must be realized that regardless of its small area, Belek has made an identity of its own. This town is rapidly growing as the Golf Center of the country. 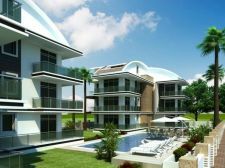 This rapid progress is another factor for people to consider while buying Belek property, and this has actually been seen in many cases by far. 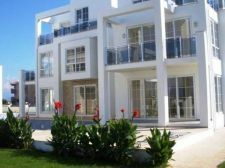 More and more people are buying golf apartments in Belek according to their budgets, as some are also buying golf villas here. 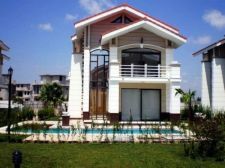 Considering the fact that Belek is a small town, many people gain interest in real estate in Belek due to the affordable prices at which properties are sold in Belek. According to different individuals, they have different needs and individual tastes. For some, cheap villas in Belek would be their dream home, while others would settle only for an ordinary apartment here. As a matter of fact, Belek has something or the other in store for everyone. Those who are not willing to spend too much money, affordable apartments in Belek are the perfect choice for them. This Belek province of Antalya (which is a large city) is a small town, but it is still known as the Hub of Tourism sector in Turkey. This town attracts a huge number of tourists from all over the world every year, and has thus successfully contributed in the national treasure. Today, the internet, newspapers, and other mediums of information are filled with advertisements posted by a large number of property dealers, who have variety of properties on sale. So, this is the right time for an intelligent investor to buy property in Belek, and reap the fruits of its benefits in the long run.